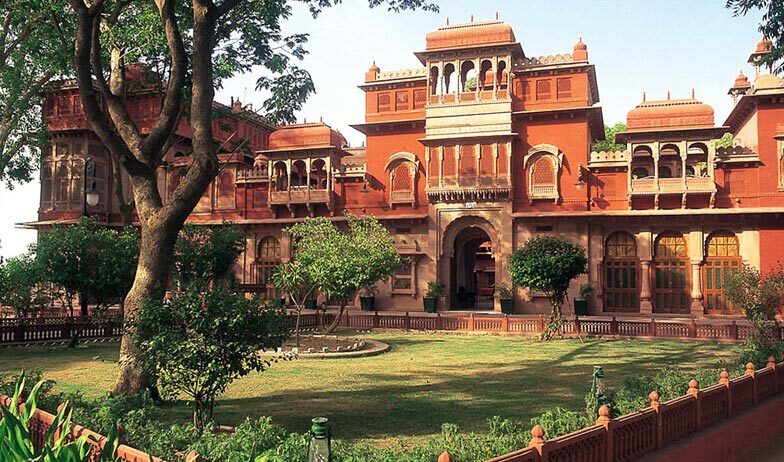 Thirty minutes away from Bikaner, this lake side palace was built by the late Maharaja Ganga Singhji and was later turned into a heritage hotel for the guests who wish to experience the true colors of Rajasthan in a majestic way. 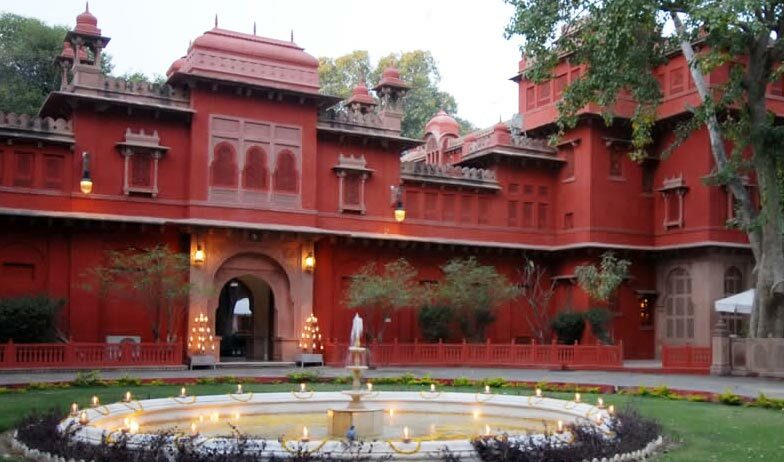 Built near the lake, the hotel is spread over a massive 6000 acres and is home to many endangered species like the nilgai, black buck and the chinkaras. 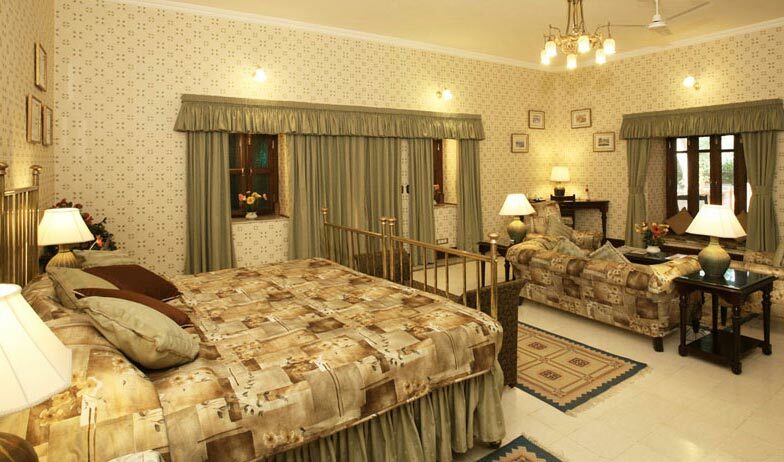 With peacocks roaming the landscaped lawns of the hotel, the view from the opulent rooms is breathtaking. Modern facilities like meeting areas, concierge and travel desk facilities, business center, on-site restaurant, tennis courts and water sports make for a fun and relaxing stay for family and friends alike. These rooms are opulent in décor and furnished in antiquated furniture. Painted in warm tones of the Thar Desert the room creates a welcoming ambiance for its guests. The room has a separate sitting area in the room itself. Well equipped with a king sized bed, telephone service, television and an attached bathroom with a separate shower console, impeccable room and laundry service also make the stay a comfortable one. The beautiful landscaped gardens and the lake provide for an enthralling view from the room while the guests laze around in the luxury of their rooms. 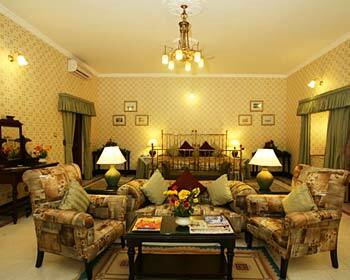 These rooms are massive in size and are decorated in the antique shades of the palace’s legacy. Decorated in warm hues of the Thar Desert, the rooms are warm and welcoming and create a romantic ambience for the guests. Spread over a wide area the rooms are furnished in antiquated furniture and have a separate seating and dining area in the room itself. With a king sized bed, a telephone, television, mini fridge and an attached bathroom which is large in size along with a separate dressing area. 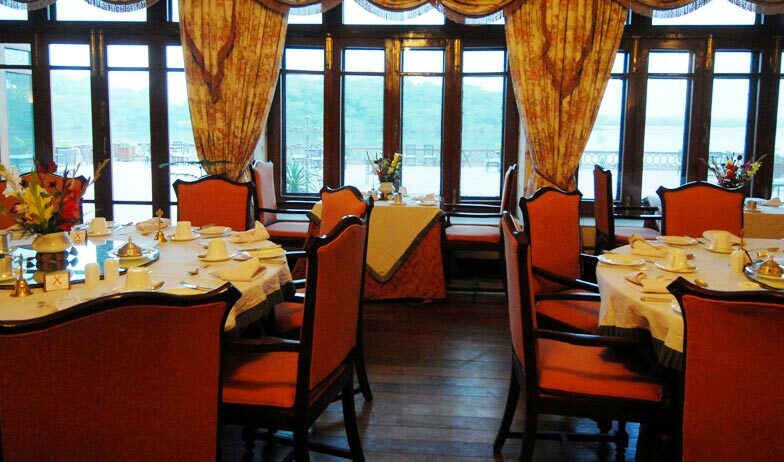 The amazing view of the landscaped gardens and the lake beyond leave the guests enthralled. 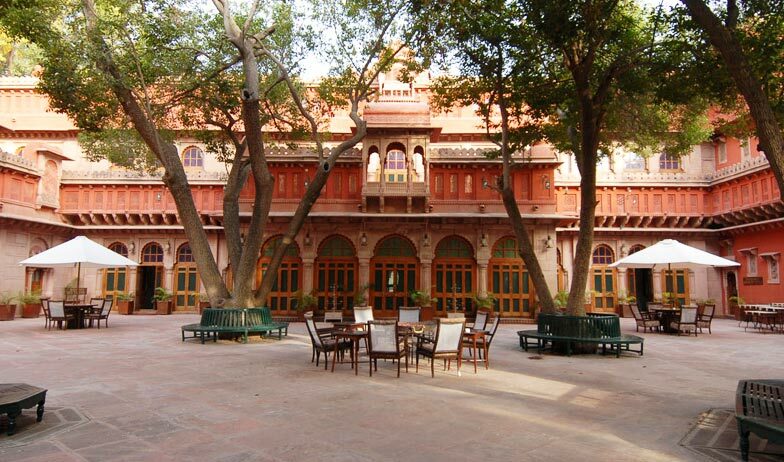 Gajner Palace Hotel, Bikaner has 45 well furnished rooms and suites. 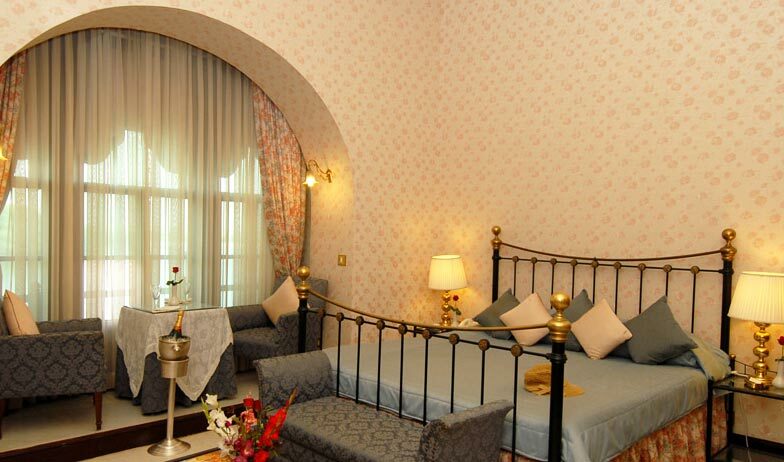 There are Historic rooms and Suites which provide you heavenly comfort. 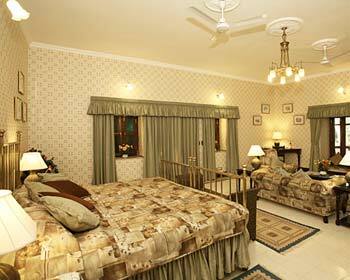 These rooms and suites are specious and have ethnic Rajasthani design. 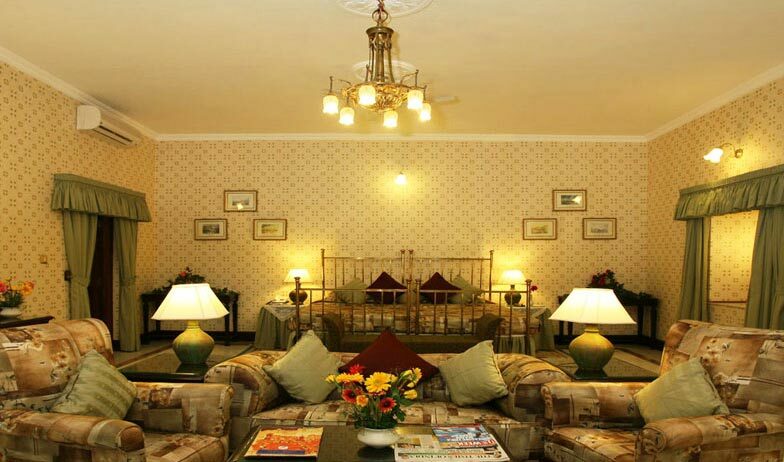 The rooms and suites offer you facilities like attached bathroom, bath tub, shower, hot and cold running water, satellite TV, telephone with STD/ISD, room service etc. 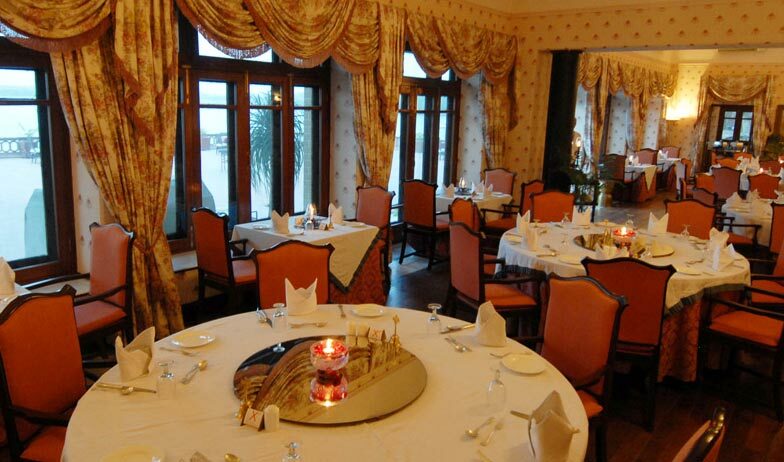 This on-site restaurant offers a scrumptious treat for the discerning taste buds of its guests. Offering a wide selection in Mughlai, Continental, Chinese and Indian flavors, the guests will be left tantalized and wanting for more. 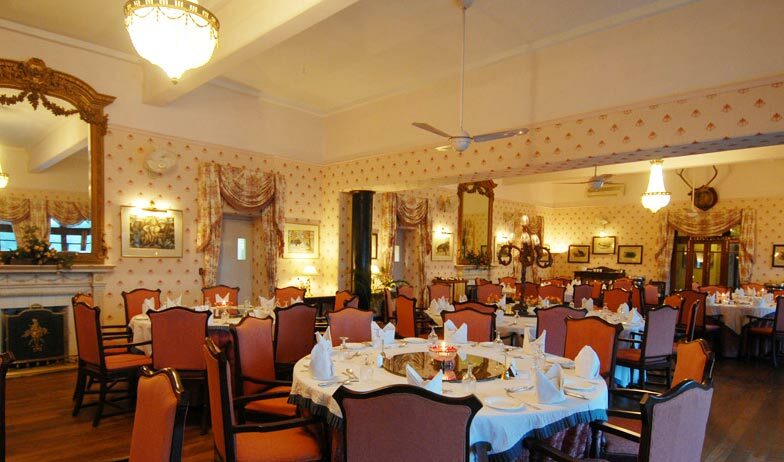 With the ethnic ambiance of the restaurant and the freshly cooked preparations of the chef, your meals here will make for a fine dining experience. Known to treat food like art, the chefs prepare a great selection of dishes which are appealing not only to the taste buds but also to the eyes. Offering an exquisite selection of liqueur, the guests can quench their thirsts at this popular watering hole. With exotic wines, champagnes, beers and international as well as Indian liquor on its menu, the bar is a popular place to hang out in. pre drinks or post, the bar offers a great variety of cocktails, mocktails and other beverages which will leave you refreshed and energized. The prompt service of the waiters and the light munchies while nursing a whiskey or scotch are a perfect way to relax during a royal holiday.